Research programs in maternal-fetal medicine, reproductive endocrinology, gynecologic oncology, female reproductive endocrinology and minimally-invasive gynecologic surgery at Penn State Health Milton S. Hershey Medical Center continue to advance the understanding of women’s health and garner placement in peer-reviewed clinical journals. This new knowledge translates from bench-to-bedside into improved diagnosis, treatment and prevention. This before-after retrospective cohort study examined 200 consecutive nulliparous women managed prior to the Consensus for the Prevention of the Primary Cesarean Delivery guidelines were adopted, and then 200 similar patients after the guidelines were implemented. In one year, the Cesarean delivery rate among women delivering after induction or augmentation decreased from 35.5 percent to 24.5 percent; the overall rate decreased from 26.9 percent to 18.8 percent. Women were surveyed about their medical conditions, contraceptive use and characteristics of their contraceptive provider. Of the 987 women surveyed, high use of combined hormonal contraceptives was reported among the women with medical contraindications to estrogen, at 39 percent, which was not statistically different from women without a medical contraindication (47 percent). This study assessed the impact of weight-loss and decreasing hyperandrogenism on health-related quality-of-life and mood and anxiety disorders in women with polycystic ovary syndrome. 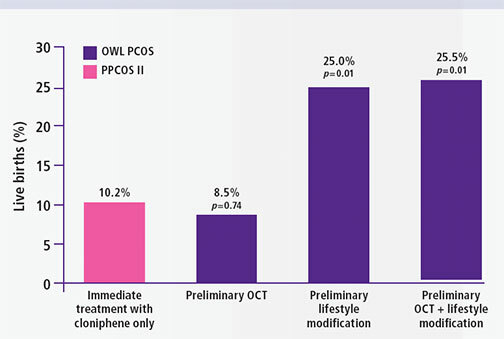 Weight-loss and oral contraceptive pill use resulted in significant improvements in quality-oflife, depressive symptoms and anxiety disorders; combined therapies offer further benefits in overweight and obese women with PCOS. Provision of consistent prenatal care is an important quality indicator for women who experienced a life-limiting fetal diagnosis and opted to continue their pregnancy. The odds of securing satisfied parents increase when families are treated with compassion and given resources to help them cope with the emotionally devastating experiences associated with this diagnosis. Wilson-Leedy JG, DiSilvestro AJ, Repke JT, Pauli JM. Reduction in the cesarean delivery rate after obstetric care consensus guideline implementation. Obstet Gynecol., 128(1), 145-52. Lauring JR, Lehman EB, Deimling TA, Legro RS, Chuang CH. Combined hormonal contraception use in reproductive-age women with contraindications to estrogen use. Am J Obstet Gynecol. 2016; 1.e1-1.e7. Dokras A, Sarwer DB, Allison KC, et al. 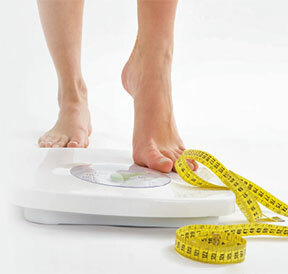 Weight loss and lowering androgens predict improvements in health related quality of life in women with PCOS. J Clin Endocrinol Metab. Wool C, Repke JT, Woods AB. Parent reported outcomes of quality care and satisfaction in the context of a life-limiting fetal diagnosis. J Matern Fetal Neonatal Med. 2016; 17: 1-6.